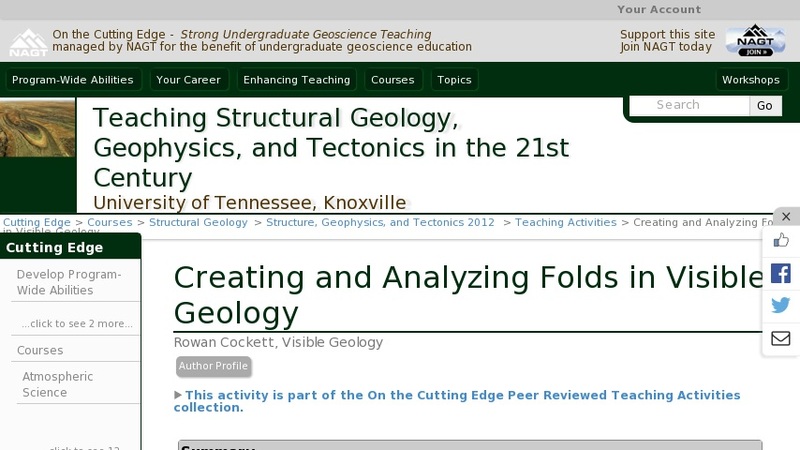 This activity utilizes Visible Geology to analyze folds on a stereonet using a pi-girdle technique. The assignment starts with students following a simple example, and then creating their own and sharing it with a partner. Students are introduced to concepts of fold axis, axial plane, interlimb angle in three-visualizations: model view, cross-section view, and stereonet view. By moving between these media students are able to draw deeper connections with respect to folding and to stereonet interpretation.